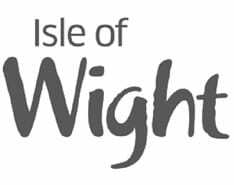 The Isle of Wight is a small island situated just off the coast of southern central England, which can be accessed by 6 different ferry routes; 3 are are vehicle ferries and all 6 take foot passengers. Solent crossing times vary from 10 minutes by hovercraft to 45 minutes by car ferry. NB If you have any specific needs, or use a blue badge, it is essential that you contact the relevant ferry company when booking. This is to ensure that, for safety reasons, they have enough crew members to assist you. This is the requirement of the MCA (Marine and Coastguard Agency). 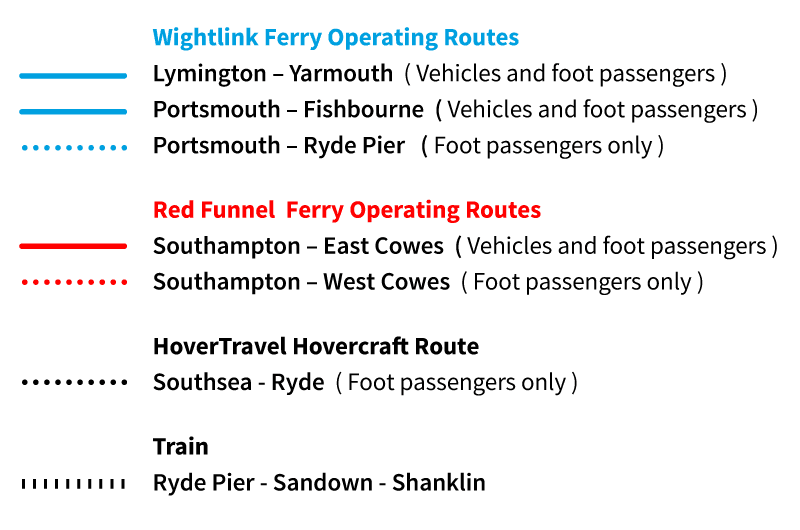 Provides 3 ferry routes to the island, two main vehicle routes from Portsmouth and Lymington and one foot passenger route from Portsmouth. They offer Passenger Assistance, which is for any passenger that may need some extra help to make their journey as smooth and comfortable as possible. This includes passengers with a disability, a medical condition, reduced mobility or travelling with pushchairs. The shortest and quickest car ferry crossing. Perfect for exploring the west of the Island. Our fastest crossing on our catamaran service. A great way to enjoy the Island by foot, bike or rail. The passenger ferry service takes you directly to the shore at Southsea or Ryde in just 10 minutes. Easy onward travel connections are available with the Hoverbus to Portsmouth, bus and train connections at Ryde plus large car parks at both terminals. 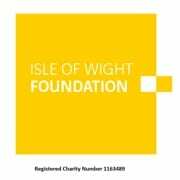 Provide two ferry routes to the Island from Southampton; the vehicle/foot passenger route takes you directly into East Cowes and the passenger only route takes you into West Cowes. Marine law stipulates that, for safety reasons, disabled people contact the ferry company to book their journey 48 hrs before travelling. We therefore strongly recommend that you contact the relevant ferry company as soon as you can before travelling to avoid disappointment of not being able to travel.